Add some sparkle to your wrist with this beaded classic. 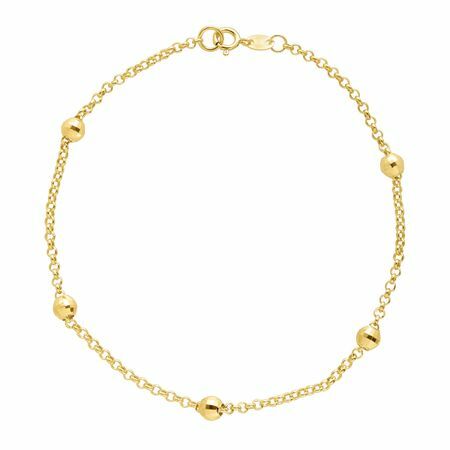 Featuring five beads of faceted, 10K gold stations along the 10K gold rolo chain, this piece is sure to stun. Piece measures 7 1/2 by 1/8 inches.